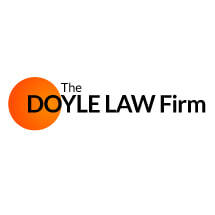 The DOYLE LAW Firm represents plaintiff and defendant clients - including businesses and individuals - throughout the Dallas-Fort Worth Metroplex in a range of legal matters. Attorney James J. Doyle III has more than 10 years of legal experience in Texas and a strong commitment to aggressive advocacy and personalized service. The firm focuses on litigation and resolution of a range of legal matters that include real estate disputes, partitions, business and commercial disputes, and contract disputes. As a lawyer, James J. Doyle III brings a unique blend of large law firm experience and personalized service. He spent the early years of his legal career working in a large and a mid-sized firm. Now he operates his firm as a one-lawyer operation to give his clients the benefit of this experience and the efficiency and responsiveness of a small, boutique firm model. Attorney James J. Doyle III intentionally limits his caseload so that he can give each client's case the attention it deserves. He is a strong advocate, willing to do whatever it takes to find favorable outcomes for his clients' cases. It is important to work with an experienced attorney if you are facing a contract dispute or another dispute that needs to be litigated. Contact the firm by calling 214-522-6200.